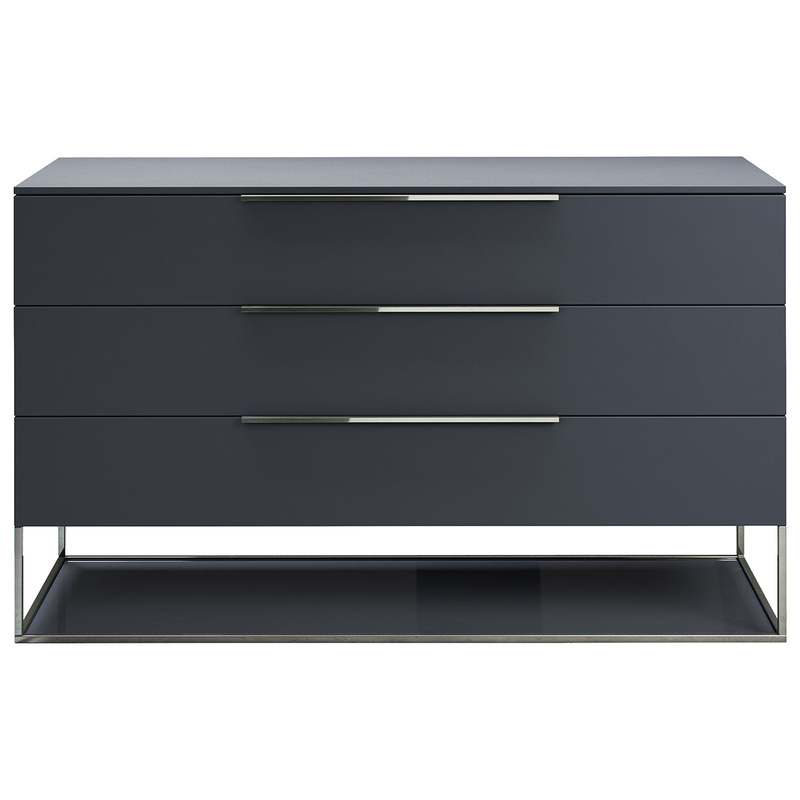 It’s not every day that you find sufficient storage inside a sharp, sleek silhouette, but the Bowery Dresser isn't your everyday chest of drawers! Knowing that even most minimalists among us have some stuff to stash, Modloft has crafted the Bowery, designed by Guillermo Gonzalez with three large drawers all lined in linen, plus a stunning supplementary shelf of painted glass. In your choice of bold yet neutral matte-lacquer hues and accented with the subtle shine of polished steel, Bowery easily fits your personal effects while also fitting your preferred aesthetic! Choose from two bold yet easy-to-incorporate hues. Clean-lined, contemporary design by Guillermo Gonzalez. Painted-glass open shelf for visual interest and additional display space. 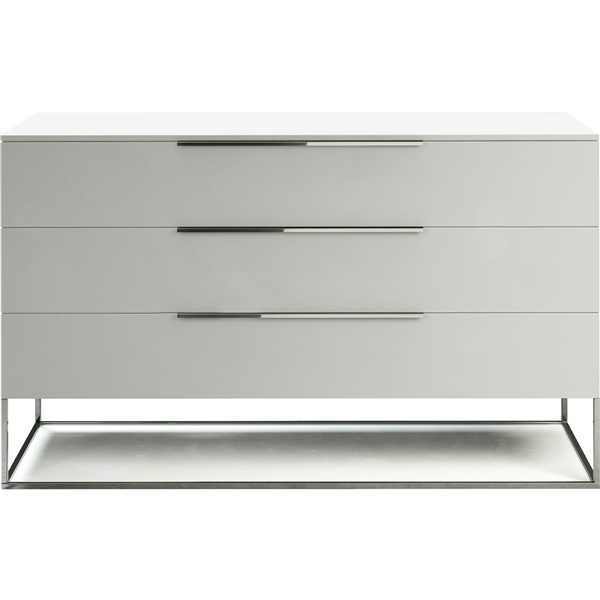 Polished-steel hardware complements matte-lacquer finish. 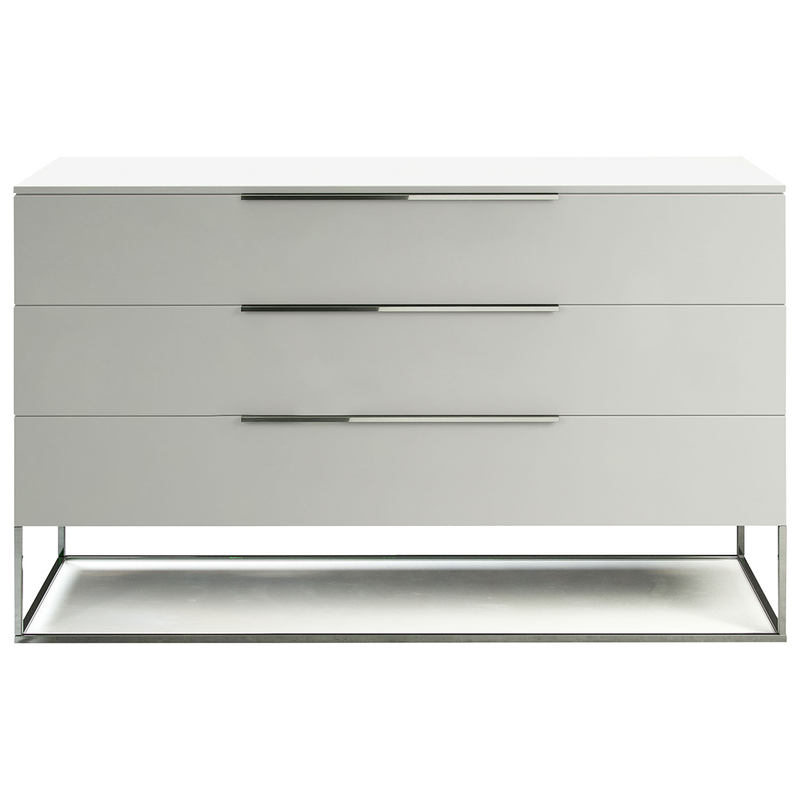 Three large drawers are lined with linen, and outfitted with European soft-closing glides. Hello, Does this dresser some with full extension drawers? Yes, the dresser has full extension drawers.